Home / Featured / Game Update / Trending / Click Heroes finds its way to PlayStation today. Click Heroes finds its way to PlayStation today. Posted by Tim DeVos Developer, Playsaurus Inc.
Clicker Heroes 2 is part of a relatively new genre of games called “idle games” (sometimes also known as incremental games or clicker games). At their core, idle games are all about exponential growth, and having the game “play for you.” You start out with some amount of resources and you make decisions on how to grow your resources into more resources in the quickest amount of time. These decisions are not unlike how you might compare pieces of gear or spend stat points in a normal role playing game. However, instead of needing to grind for gear or experience by performing tedious work, resources are gained automatically over time based on the decisions you make. By requiring your attention for the most important choices of how to spend your resources, games like Clicker Heroes are great for running in the background of your life. 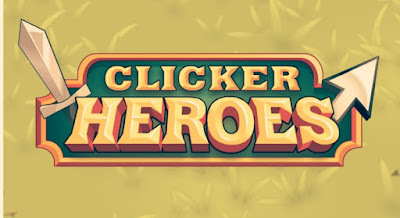 While the Clicker Heroes starts deceptively simple, with only the option to “click” to damage monsters, it quickly evolves into a deep and interesting strategy game. Your choices will juggle several resources such as damage and gold which are critical for increasing how fast you progress. Determining how to maximize your progress for the minimum cost is an important strategy to reach higher and higher zones. The numbers in Clicker Heroes grow exponentially so there are hundreds of hours of gameplay as all your resources approach infinity. Within the first few hours, you’ll be dealing millions of damage to monsters and acquiring billions of gold. Eventually, you’ll have more gold than the estimated number of atoms in the observable universe (which is about 10 raised to the power of 80, last time we checked). We are incredibly humbled by the passion of our fans and owe you all a massive thank you for not only supporting us through the development of the game but also making great suggestions that shaped Clicker Heroes into what it is today. We would also like to thank our friends at BlitWorks for all their hard work in bringing the game to PlayStation. Without them, this excellent version of the game wouldn’t exist. Although there has been news for a guide Clicker Heroes will be available for free on PlayStation Store starting March 7! We hope you’ll check out the game and we’d love to hear about your experience with it, so feel free to reach out to us in the comments below. Thanks Tim DeVos for the update.